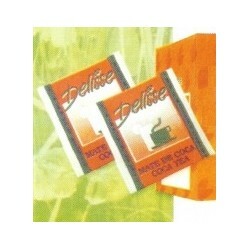 Pour boiling water over coca leaf tea bag and steep for 1 to 3 minutes as desired and enjoy the exquisite coca tea. Add sugar or honey to taste. Drink coca leaf tea in the morning, with lunch, in the afternoon, and at night. In summertime, iced coca tea with sugar is a good and healthy substitute for sodas.